I suspect all of us have the odd gift card or two lying around, a remnant of the festive season. So if you have Wigwam Glamping Vouchers, there’s no need to ‘remember’ to pick them up on your way to the shops, or to ‘find’ something to spend them on. 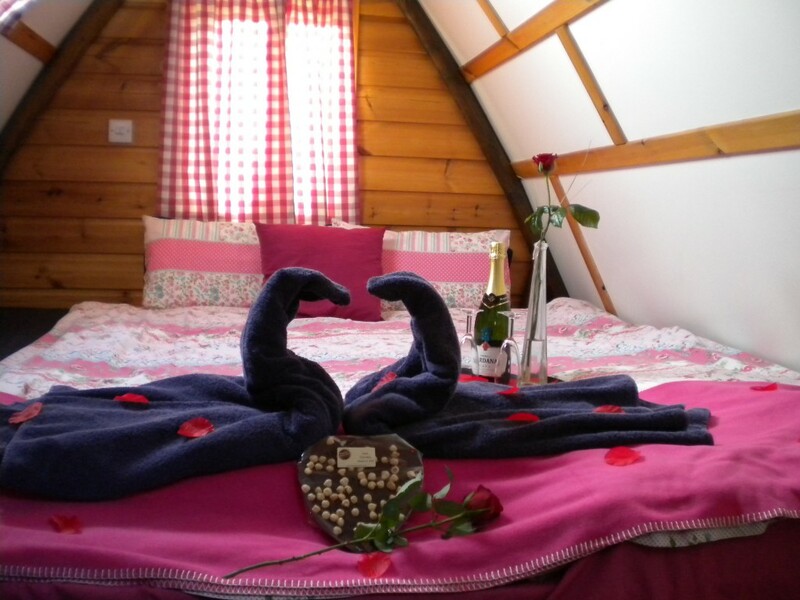 The Wigwam Holidays Glamping Vouchers provide the means to the perfect trip away! So, why should you purchase a Wigwam® Glamping Voucher with your hard-earned cash? Today’s traveller is a discerning one. With a vast choice of destinations, packages and reviews available with a swift scroll on your smart phone, a holiday could be ‘off the list’ before anyone’s even started searching for the passports. Yet remember, with the continued popularity of the ‘staycation’, you can avoid the stress of cancelled flights and disappointing holidays resorts by ‘going for the glamp’! Glamping has taken the country by storm during the last decade. Today, thousands of sites in the UK promote their glamping status with some novel ideas, including shepherd’s huts, tree houses and safari tents. Standards at glamping sites have to be high. After all, Britain’s weather is unpredictable at best, and who wants to struggle with a ground sheet in a Force 10 gale? 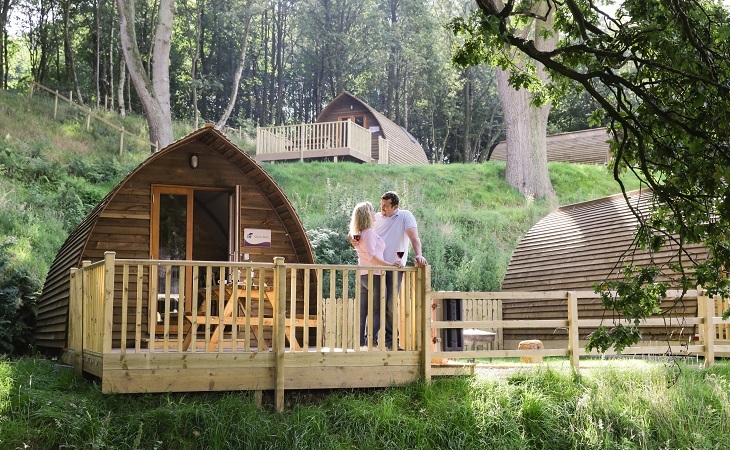 Wigwam® Holidays is the nation’s market leader in glamping accommodation provision, with their warm, insulated cabins - and you can buy a piece of glamping greatness from as little as £25! Imagine chilling outside your Wigwam, with nothing to worry about. Wigwam® Holidays is now in it’s 22nd year. The beauty of a Wigwam® Gift Voucher is you can spend a moderate amount or, if the occasion demands it, you can have a bit of a splurge by clubbing together with friends and family to buy sufficient vouchers for that unforgettable honeymoon, birthday trip or anniversary holiday. So – How Do I Buy a Wigwam® Glamping Voucher? The recipient will receive the glamping voucher details and can then book online, using the code provided. Convenient, easy and it can all done from the comfort of your own home. If you are the recipient of Wigwam® vouchers, then congratulations! Our online sites accept Wigwam® gift vouchers towards your holiday booking. If you visit locations you will be able to start your Wigwam® journey by selecting your site. When you find the location maps, Wigwam sites have either green or orange numbered ‘flags’, and the orange ones take online bookings. You will need your voucher code on order to complete the booking. Then all you need to do is look forward to a ‘great holidays in the great outdoors’! Sit back and relax with the knowledge that your loved one is going on a great holiday. By the time you’ve reached this part of the blog, hopefully you will be convinced that not all gift vouchers are the same and that Wigwam® Glamping Vouchers will save you a lot of head-scratching when thinking of that perfect gift. And if you’re the purchaser, not the recipient, why not treat yourself as well? There’s always joy in giving – and receiving!